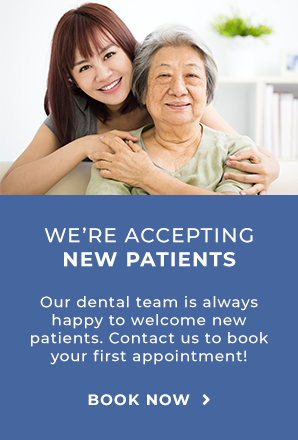 Our friendly and welcoming Markham Steeles Dental Centre team are here to help! We are proud to serve the community in English, Cantonese, and Mandarin. I have been working as an administrative staff in dental field for 9 years. I am passionate about providing excellent communication with our patients. I speak English, Cantonese and Mandarin. I am always happy to assist patients with any questions or concerns they may have with their dental health, dental insurance or financial concerns. During my spare time, I enjoy music, reading and gardening as well as spending time with my family. Also I love sports. I play volleyball, ping-pong, badminton and golf. I have been working as a dental assistant for more than 7 years. I can speak English, Cantonese, and Mandarin. I like to interact with patients and help them stay comfortable in the dental chair. In my spare time, I enjoy cooking for my children and spending time with my lovely family. After completing her Bachelor of Science (BSc) from the University of Waterloo, Dr. Julia Lai-Tong went on to complete her Doctor of Medical Dentistry (DMD) from the University of Western Australia. Dr. Lai-Tong was a regular volunteer helping the underprivileged in Perth, Australia maintain their oral health. Likewise, in Toronto, she volunteers in the city with Yonge Street Mission to provide free dental care to those in need. Dr. Lai-Tong is a member of the Ontario Dental Association and attends continuing education courses to maintain expertise in the current trends and practices of dentistry. In her spare time, Dr Lai-Tong helps her mom with her after-school Kumon program. To relax, she enjoys travelling, reading, and spending time with friends and family. Dr. David Landsman is proud to return home to Canada after completing his dental education at New York University’s College of Dentistry. As an honours student, he was selected to provide comprehensive oral care to asylum seekers and refugees at Bellevue Hospital. After graduating, he was accepted into the Residency program at NYU Langone Brooklyn Hospital’s General Practice and worked with top specialists gaining extensive experience in all aspects of dentistry. Dr. Landsman is a member of the Ontario Dental Association and the American Dental Association. When outside of the clinic, Dr. Landsman enjoys staying active with hockey and soccer. He loves to play guitar, draw, and paint. He is bilingual in English and French.